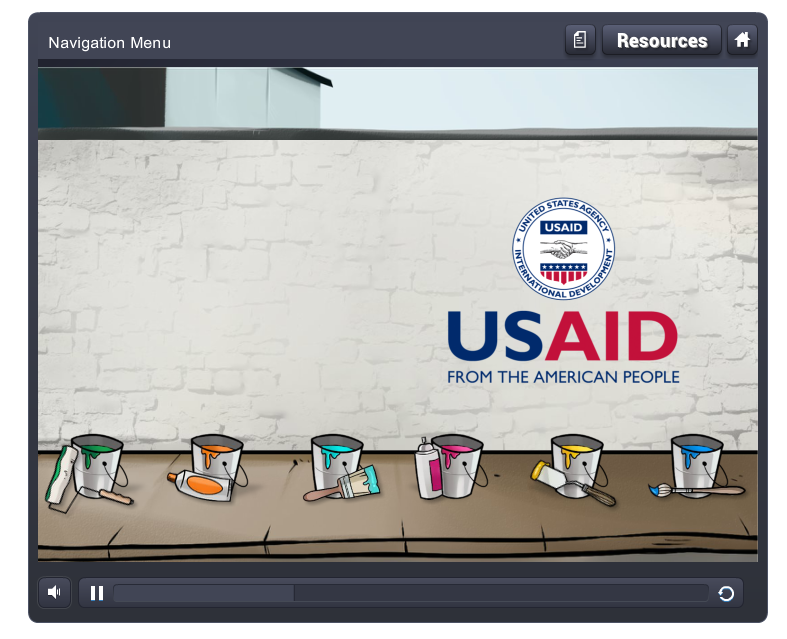 The Office of Transition Initiatives (OTI) at USAID supports U.S. foreign policy objectives by helping local partners advance peace and democracy in priority countries in crisis. 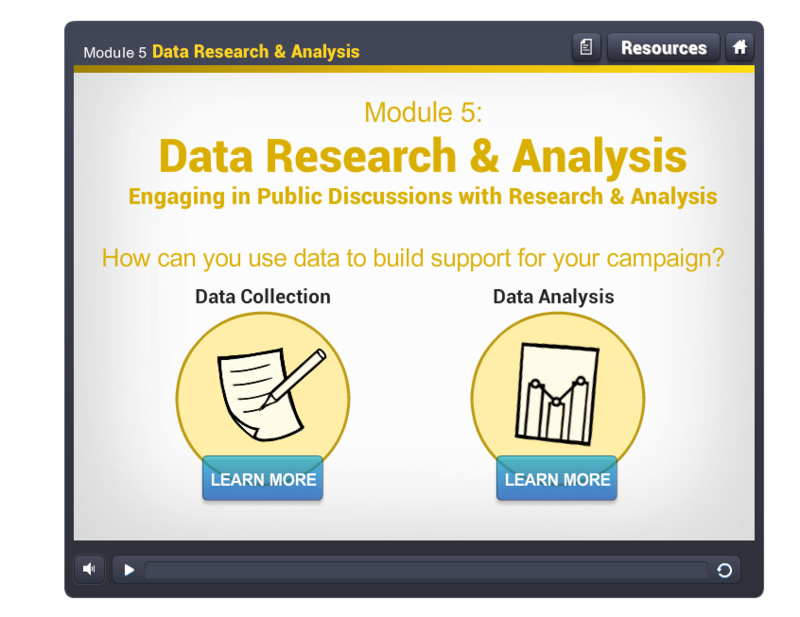 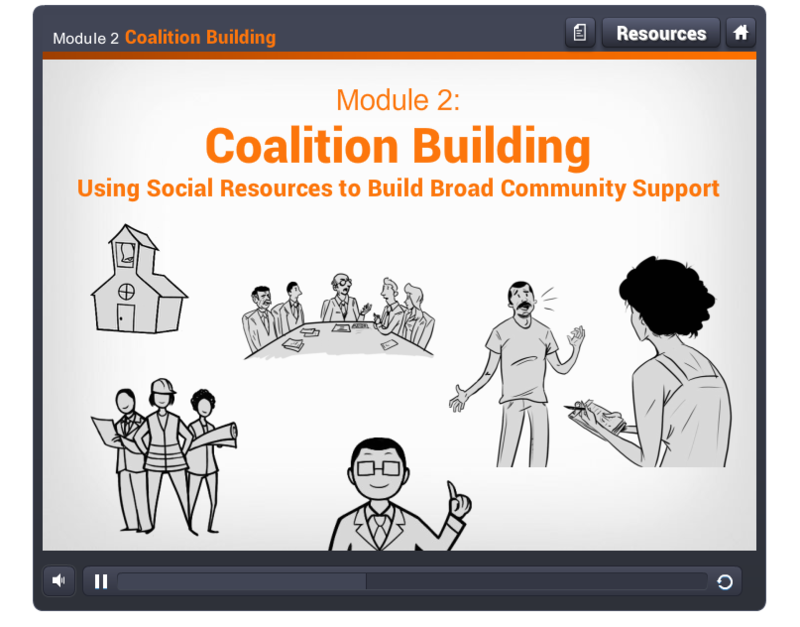 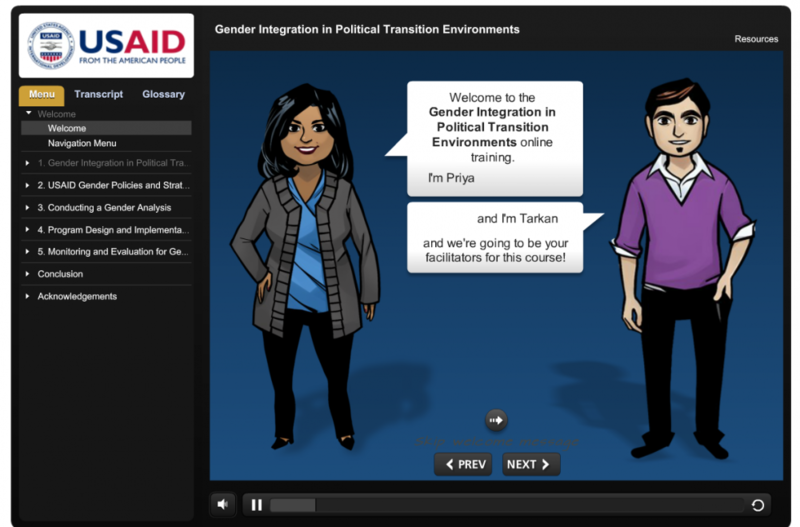 We created two self-paced courses on “The Art of Advocacy” and “Gender in Political Transition Environments” for USAID Staff and implementing partners. 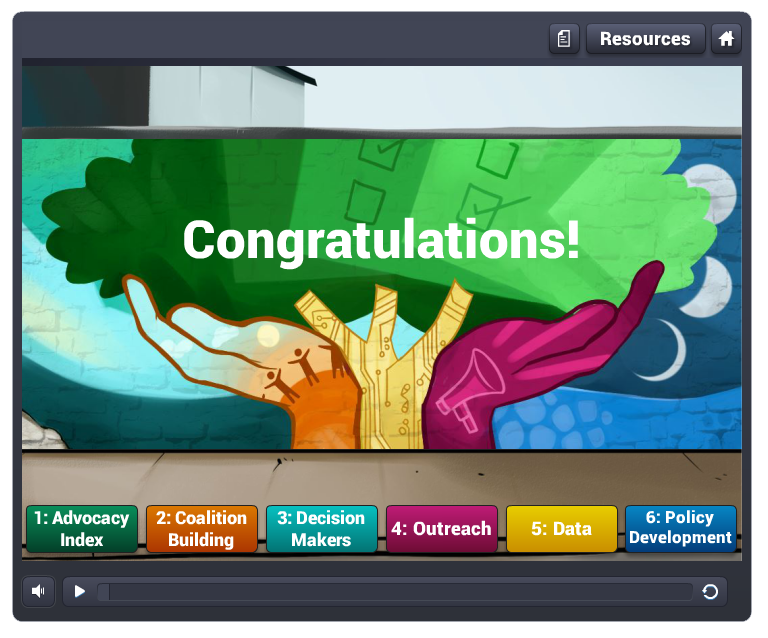 Each course was designed to take 1-2 hours to complete and included a variety of education animations, interactive graphics & simulations, and metrics & visualizations for tracking learning progress.